Solutions Designed for Success – Interview by Global Banking & Finance Review ® – Deals Secure Group Holding Company, opc. London, UK (Global Banking & Finance Review®) January 15, 2019 — Elite Capital & Co. provides project related services for primarily large infrastructure and commercial projects. To meet the unique needs of customers they offer turnkey solutions customized to meet the specific needs of clients. 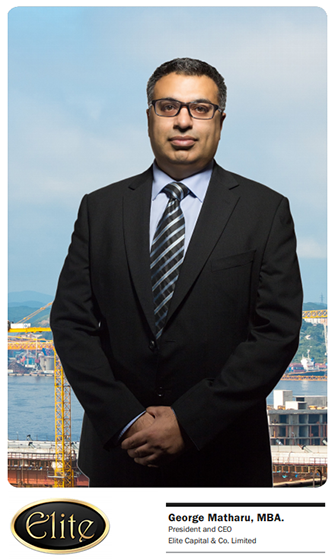 To find out more about their unique offerings and the current opportunities in the market Global Banking & Finance Review interviewed the President and CEO of Elite Capital & Co., Mr. George Matharu, MBA. How is Elite Capital & Co. (ECC) able to assist businesses where traditional financing isn’t unavailable? Mainstream banks normally have a set of products that make up their finance offering. Each product is managed by a different team, and has a specific set of criteria to activate the funding. Projects often require different types of funding that might need some of the bank’s products to be packaged together to achieve the project’s funding objectives. So, unless the bank has a person that sits across all the finance products, it is rare that a financing solution will be found. Furthermore, when a company makes an application for funding at a bank, the application goes into a ‘black box’, where there is no visibility of the credit funding criteria and the resulting credit decision. There is normally a yes or no decision, with a superficial level of feedback if the answer is no. These are just two examples of how project owners might find it difficult to be accepted for bank funding. There are many other examples. At Elite Capital & Co. (“ECC”), we take the time to understand the project funding requirements, and look at the strengths and weaknesses of an application. We work with many funding sources including banks, Export Credit Agencies, Hedge funds, Family Offices, and private investors. So, we can look across all our funding sources, and build a package of finance elements which make an overall solution. What types of products does ECC usually accept? ECC mainly accepts major infrastructure / construction projects for funding, including Power Plants, Renewable Energy, Water Desalination Plants, Refineries, Railway, and Metro or Monorail. Typically, the project would need to have some form of technical requirement or solution. Therefore, the types of project we tend not to accept are Road construction and Housing, where there are fewer technical requirements. What advice do you have for prospective clients? Project owners should consider using specialist finance consultants when putting together their financing plans. There are many forms of financing, and the request for finance document should be geared towards specific funding options. For example, requesting finance from a bank is a completely different presentation to looking for equity investment against shares, or executing a bond offering. A good finance consultancy firm would be able to determine the most appropriate type of funding, and structure the finance request documents accordingly. ECC has a wide range of experience when it comes to project management. Can you tell us about the services available around infrastructure projects and how your experts help guide customers through the process? At ECC we prefer to work on projects where we can provide a turnkey solution for Engineering, Procurement, Construction and Finance. This give us the most flexibility in securing finance with competitive terms and rates. It also allows us to provide our clients with a road map for project and funding completion, since we are managing all of the elements in-house. This is much more difficult when multiple parties are involved, all with competing interests and priorities. • Project reviews, documentation and recommendations. 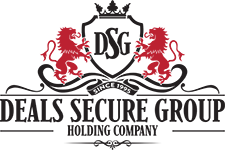 • Writing finance request documents – Investment Memorandums, Bond Offerings, Debt Funding Requests, Joint Venture or Partnership Proposals, etc. • Structuring finance solutions using multiple finance sources when necessary. • Selecting specialist Contractors for all types of Infrastructure projects. You have established strong strategic alliance in Europe, Asia, Africa, Middle East and GCC Region. How do these alliances benefit your clients? It is impossible for our company to offer all project and finance related services in-house. In fact, this would take away from our core strength of being flexible, impartial and nimble. Therefore, we make alliances with carefully selected companies, so that we can call on these outside services as and when required. We only work with ‘best-in-class’ service providers that have been tried and tested, which ultimately benefits our clients. In your view, what are the current opportunities and challenges facing the market? The immediate challenge facing the UK today is Brexit. Some of our funding sources are reluctant to make investments in projects until the outcome is more clear. Brexit also has an impact on Renewable Energy projects in particular, as the EU had put a number of incentives and subsidies in place to encourage these projects to be implemented, which are no longer available. Another key challenge is USA and China relations. We have a number of funding sources in China, but the trade war between the countries precludes us from looking at any USA based projects at present. There are also significant challenges with political instability in the Middle East. We can’t use money from financial institutions or investors in certain countries, to invest in projects in other countries where there are political or religious differences of opinion. However, these challenges give rise to opportunities, especially for specialist finance companies like ECC. Market uncertainty makes the banks more cautious to lend money, so clients seeking finance are more likely to look for alternative sources of funding. Despite the market sentiment amongst project owners, there are a number of funding sources that have capital to deploy on infrastructure projects. However, many projects that we see on paper have one or more of these three issues; (i) no adequate security, (ii) not enough attention given to de-risking the project, (iii) returns do not justify the ‘risk vs reward’ equation. By tackling these issues, clients could be more successful in getting their required funding. We must also mention advances in technology as a major opportunity for the market. Technology plays a major role for enabling projects in a number of areas – reducing manufacturing costs, increasing inter-connectivity, modular and prefabricated construction, ease of communication, and many others. Do you have any current projects you would like to share with us? ECC is currently working on a number of projects including Water Desalination Plants, High Speed Rail, Oil Refineries, Logistics and Warehousing Hubs, and an Agri-Tech implementation. These are all government projects, so the details have to remain confidential until formal contracts are signed. 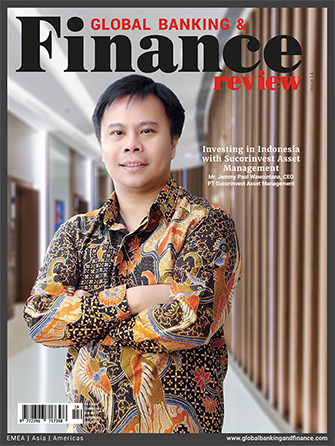 However, keep watching this publication for more news in Q1 2019! What are your plans for continued growth and development? In addition to ECC’s infrastructure business, we have expanded into two other market segments. That we will build upon during 2019. Firstly, we have established a new Division called “Elite Petro & Gas”, which is a Finance, Trading and Advisory firm with a focus on downstream activities in the global Oil and Gas markets. This is to leverage our considerable experience in this industry sector, and it compliments the work we do on the infrastructure side of the company for Refinery projects. More information can be found at www.petro.uk.com. We are also setting up a new Division to focus on Real Estate funding, as we have seen a growing number of requests from potential clients during 2018. Again, we can leverage many of our existing contacts to provide funding for Real Estate projects, using the same principles of packaging the projects to adequately mitigate the risks and provide sound economic models for investment returns. 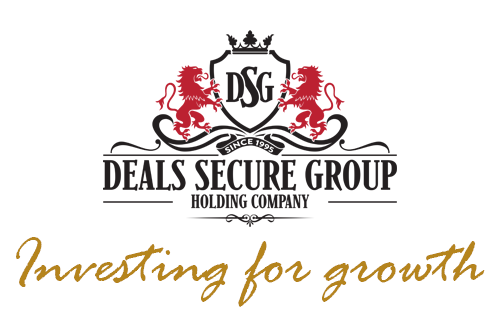 Deals Secure Group Holding Company, opc.